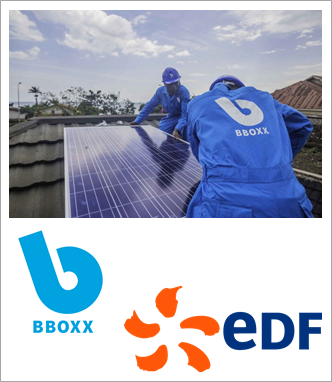 JOHANNESBURG, Oct 26 (Reuters) – France’s EDF Group has taken a 50 percent stake in UK off-grid power company BBOXX’s operation in Togo with an eye to extending the partnership to other African countries, the two companies said on Friday. Big European power utilities are increasingly exploring off-grid technology as a way of expanding their renewables footprint and growing their customer bases beyond their stagnating home markets. “By teaming up with BBOXX in Togo, the EDF Group has embarked on a new stage of development of its off-grid activities in Africa,” said Valerie Levkov, EDF’s senior vice-president for Africa and the Middle East. EDF has already set up joint ventures with Tanzania-based Off-Grid Electric in Ivory Coast and Ghana. French rival Engie acquired Uganda-based Fenix International last year. French oil major Total has also partnered with off-grid startups, while Italian utility Enel and Germany’s E.ON are investing in solar mini-grid companies. BBOXX was set up in 2010 and has since sold 150,000 of its solar home systems, which allow customers without access to a reliable grid to power lights and small appliances. The company has set a target to provide electricity to 20 million people by 2020. “Working with global partners like EDF shows our commitment to scaling up, mobilising greater investment, generating meaningful impact and powering the economic development of some of the world’s least developed communities,” BBOXX CEO Mansoor Hamayun said in the statement announcing the tie-up. EDF’s backing will help speed up deployment of BBOXX products and the French utility has a big research division working on improving battery performance, the two companies said. Global revenues from pay-as-you-go solar home systems were $150 million to $200 million in 2016 but should jump to between $6 billion and $7 billion in 2022, according to GOGLA, an independent off-grid industry association.